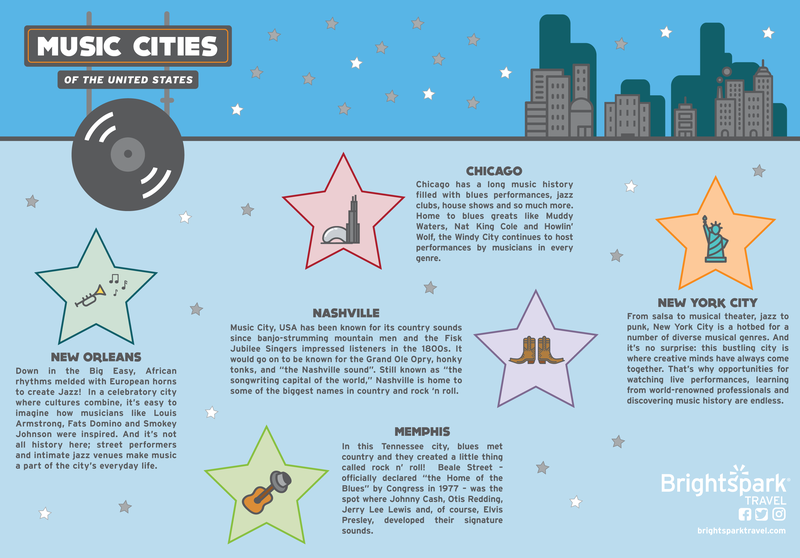 From Chicago to Nashville to New York, the U.S. showcases its diverse musical traditions in iconic cities and venues where your band, choir, orchestra, or theatre group can connect with the very best of the professional music world. Click below to download our latest infographic and learn more about each destination. ...home to some of the greatest artists and venues in the country! Ready to plan your inspiring performance tour?